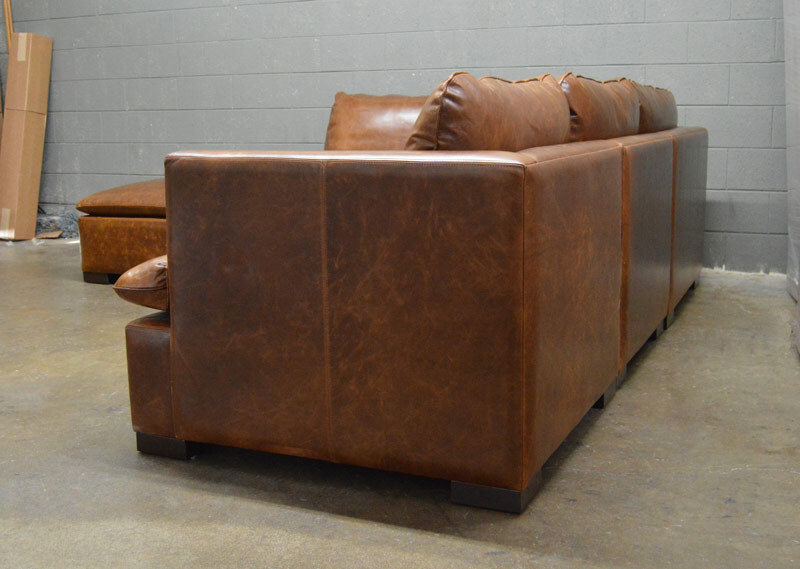 This Braxton Sofa Chaise Sectional with Cocktail ottoman was delivered to Jacksonville, Florida. 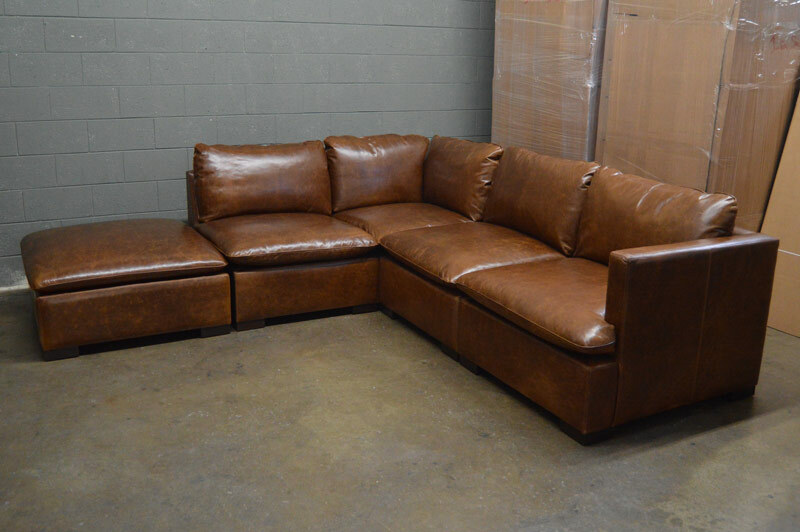 Shown here dressed in our Italian Brompton Classic Vintage leather and sporting a matching 44″ x 25″ Braxton Leather Cocktail Ottoman, this sectional is available with your choice of True 8-way Hand Tied Suspension, or our Heavy Gauge Sinuous Spring Suspension. 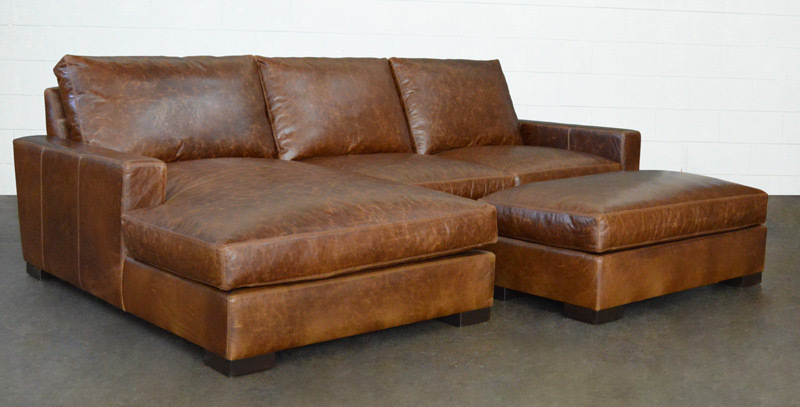 Many of our customers like to order the Braxton Sofa Chaise Sectional with a matching cocktail ottoman that can take the place of a traditional coffee table. Throw on a tray to hold drinks, etc. or remove it and everyone on this sectional has somewhere to put their feet up. 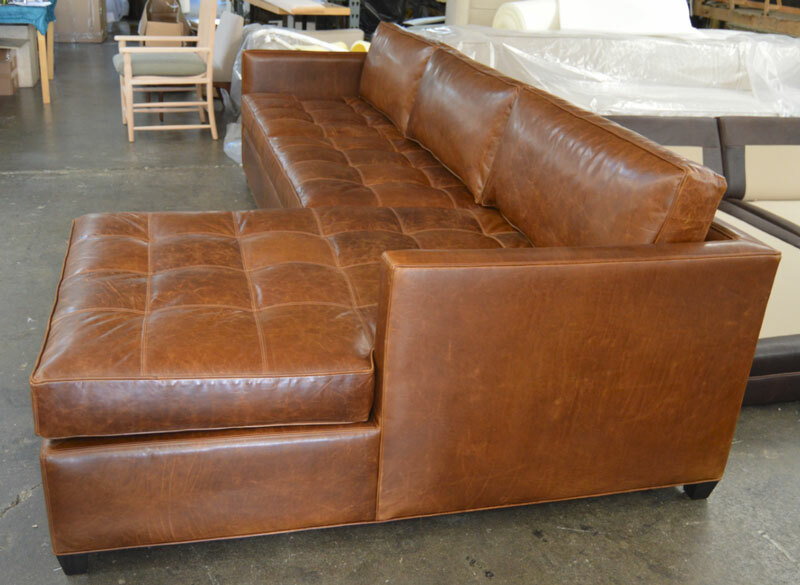 As with all of our homeloft Leather Collections this beauty was made right here in America! 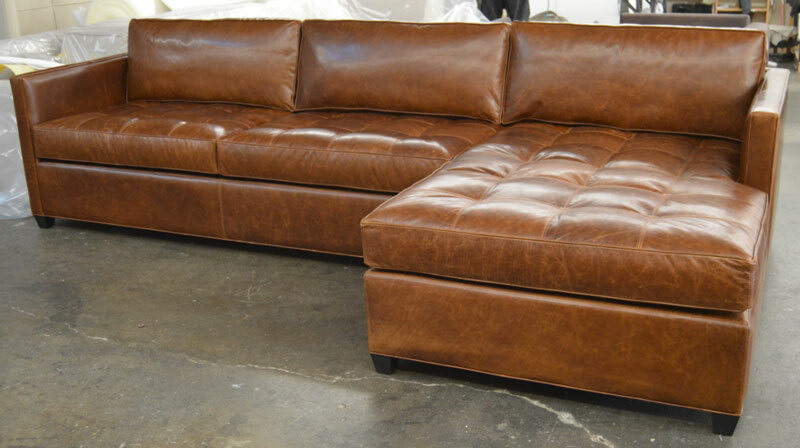 This entry was posted in Braxton, Custom Leather Order Feed and tagged 43" Deep, Braxton Cocktail Ottoman, braxton collection, Braxton Leather Cocktail Ottoamn, braxton leather sectional, braxton sofa chaise sectional, Brompton Classic Vintage, full aniline, full grain leather, Italian Brompton Classic Vintage, Italian Brompton Leather, maxwell leather collection, maxwell leather sectional, maxwell sofa chaise sectional, No Ears on March 6, 2017 by LeatherGroups. 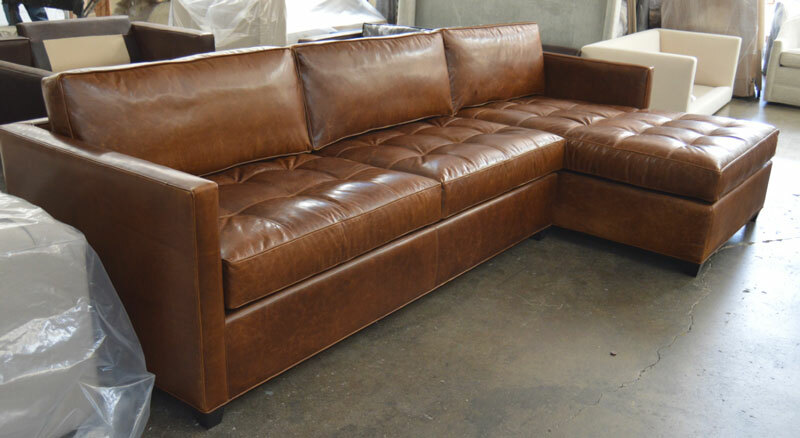 Built for one of our clients in New Jersey, these pieces are configured with our deep 46″ seating and wrapped in one of our Full Grain , Italian Leathers, Italian Brompton Classic Vintage. 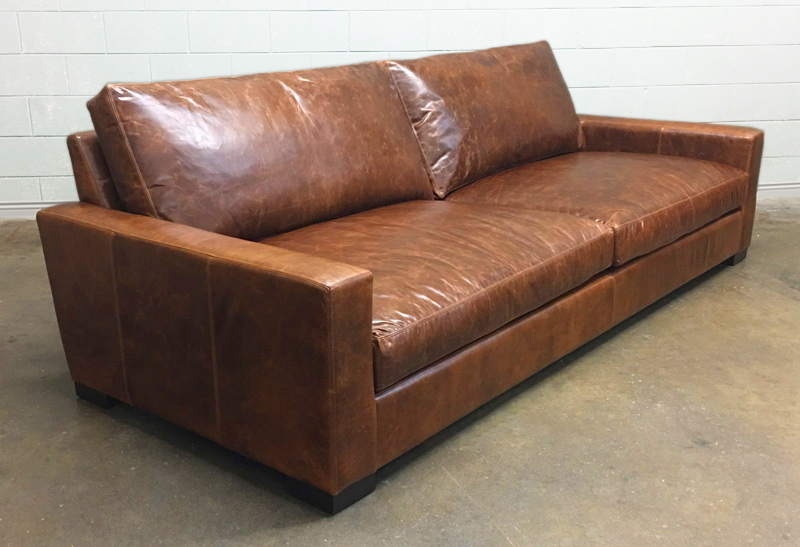 This client selected a 108″ Braxton Leather Sofa paired with a Braxton Leather Chair and a Half (one of our favorite pieces from the Braxton Collection). 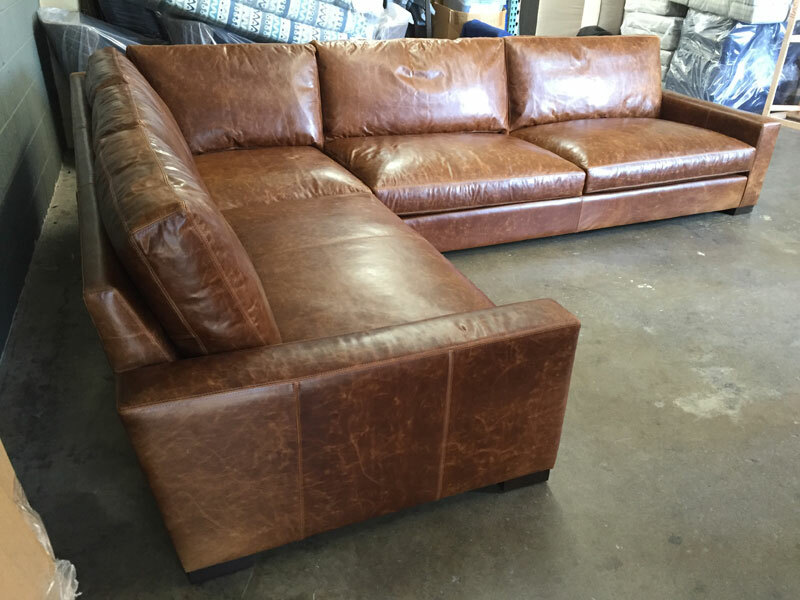 This entry was posted in Braxton, Custom Leather Order Feed and tagged 46" Deep, braxton collection, braxton leather chair and a half, braxton leather sofa, Brompton Classic Vintage, Italian Brompton Classic Vintage, Italian Brompton Leather, maxwell leather chair and a half, maxwell leather sofa, No Ears on January 6, 2017 by LeatherGroups. This order delivered to Long Beach CA. and our customer is thrilled! 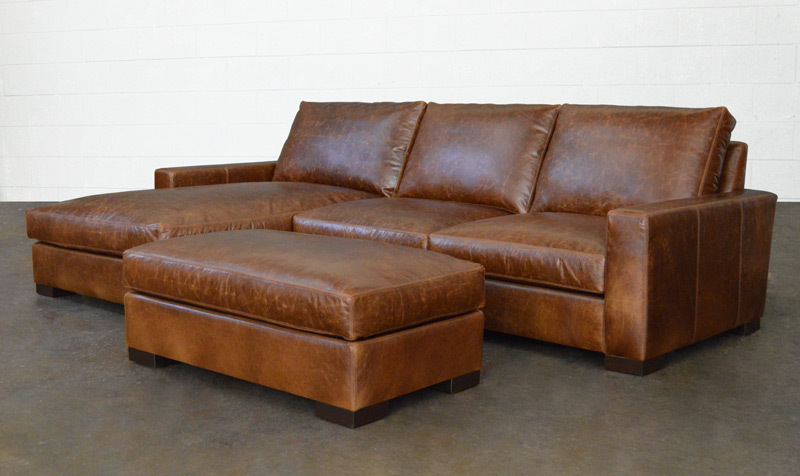 This Arizona Leather Sofa Chaise Sectional has the chaise on the right side when facing, or RAF and was wrapped in Italian Brompton Classic Vintage Leather before having the seats hand tufted by our team. 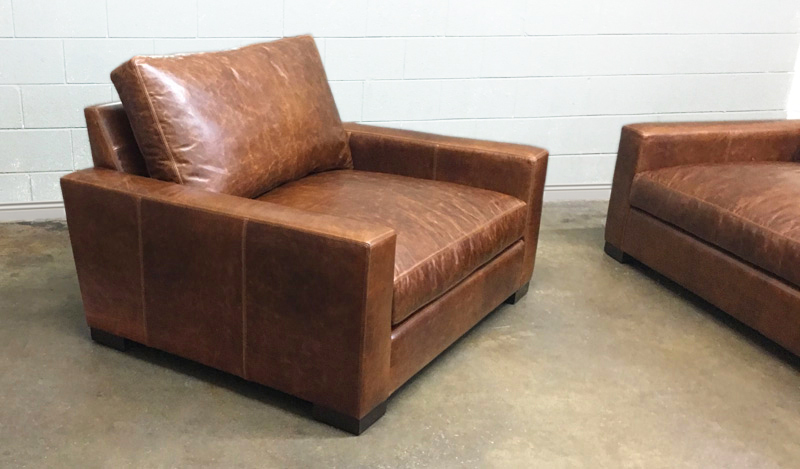 The tufting firms up the seat just a bit when compared to non-tufted seats, but the feather and down topper makes this a super comfortable seat. 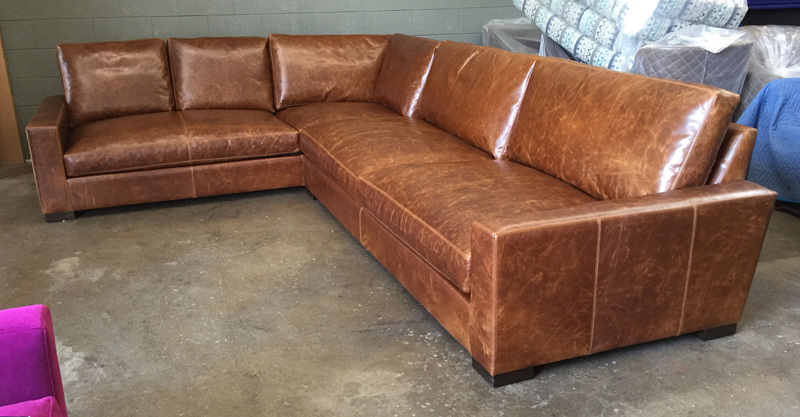 This entry was posted in Arizona, Custom Leather Order Feed and tagged Arizona Leather Collection, Arizona Leather Sofa Chaise Sectional, Brompton Classic Vintage, full aniline, full grain leather, Italian Brompton, Italian Brompton Classic Vintage on February 26, 2016 by LeatherGroups.